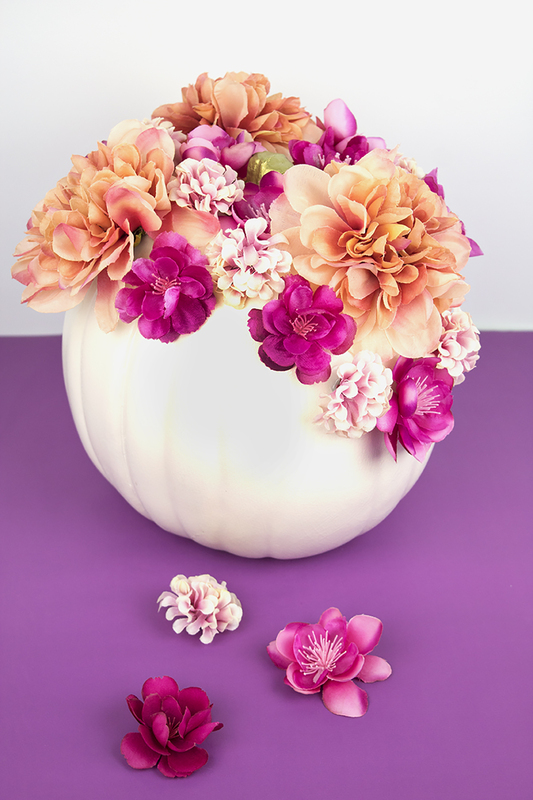 So, I came up with this floral pumpkin! 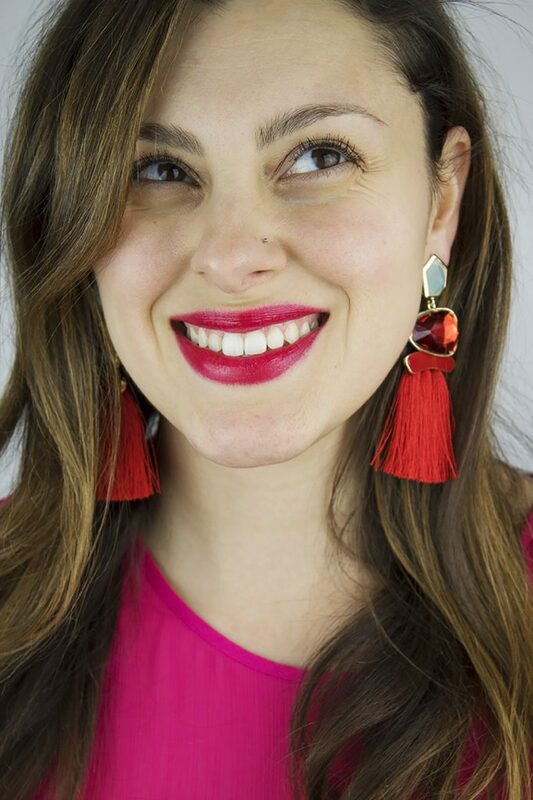 It’s got some of the fun fall colors, but also a pop of pink to really make it stand out. 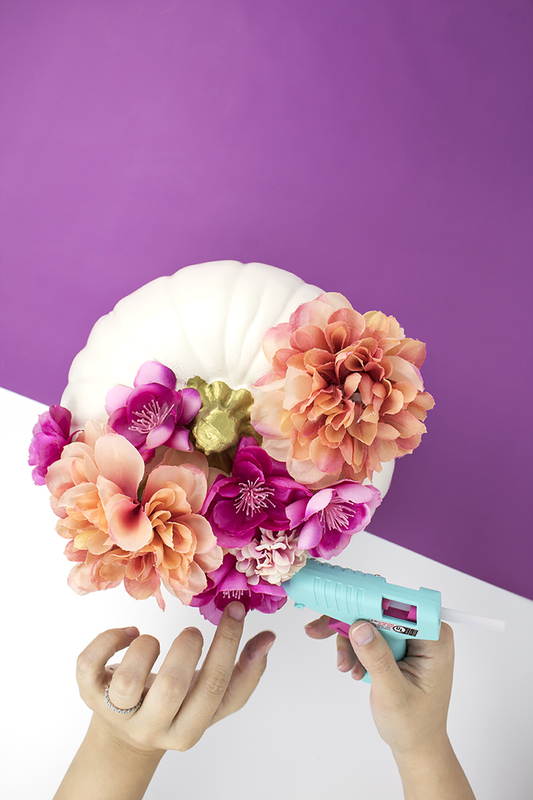 Plus, the best part is that you can customize the flowers to match your home, in any color you wish! 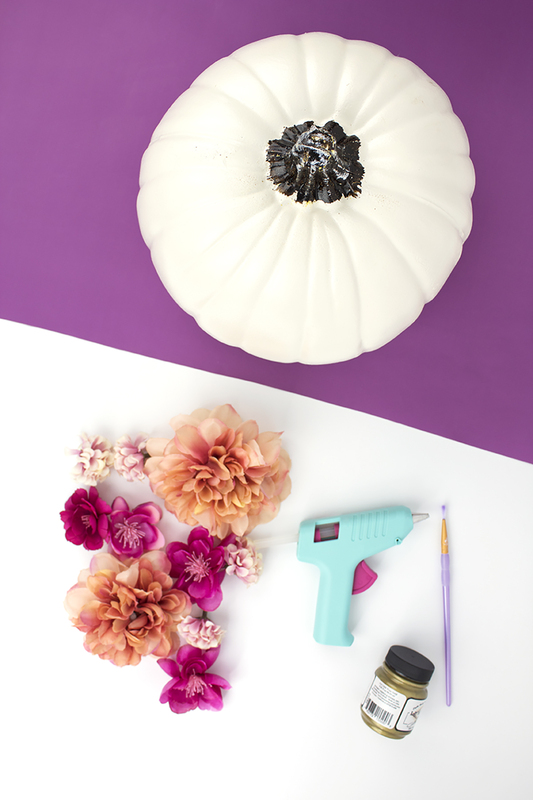 You could even paint the pumpkin if you wanted, too. It’s a really fun show-stopper – I’ve already had several people compliment me on it! And best of all, it’s so quick and easy to make. Let’s get started! 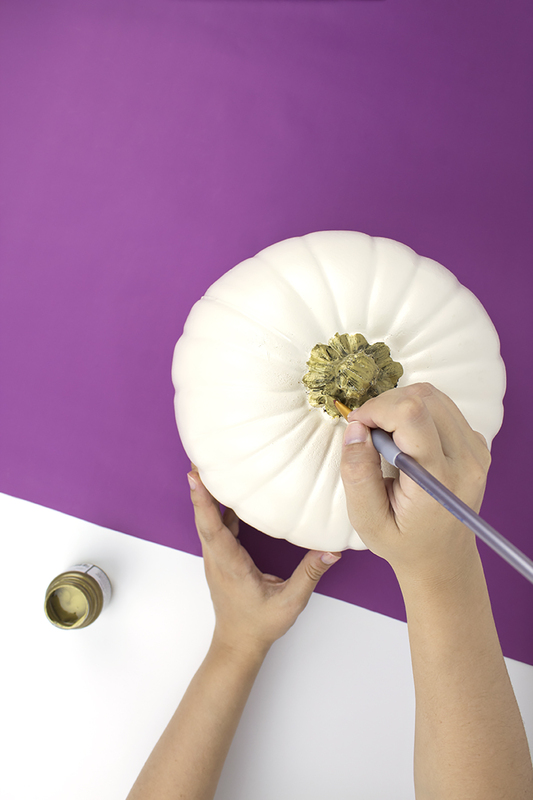 Step 1: Paint the stem of your pumpkin with gold paint. I did 2 coats for mine to cover the black stem it came with. Let dry. Step 2: Take your flowers off the stems and cut off the small notch where it was attached. You want to cut it down as far as you can without the whole flower falling apart. 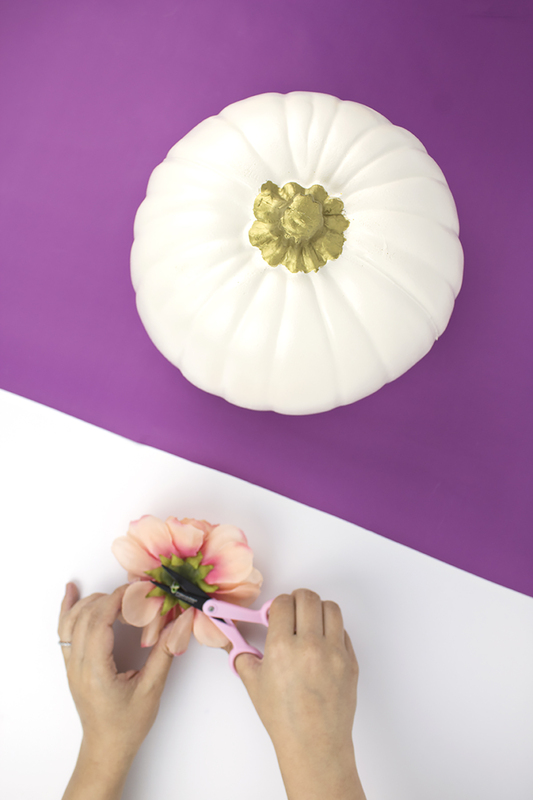 Step 3: Begin gluing the flowers around your pumpkin stem. I started with the largest flower, then started adding the smaller flowers down and around the sides. Step 4: After adding a few of the smaller flowers, I added a larger one and began again. Continue this process until the whole top is covered in flowers. And that’s all it takes! 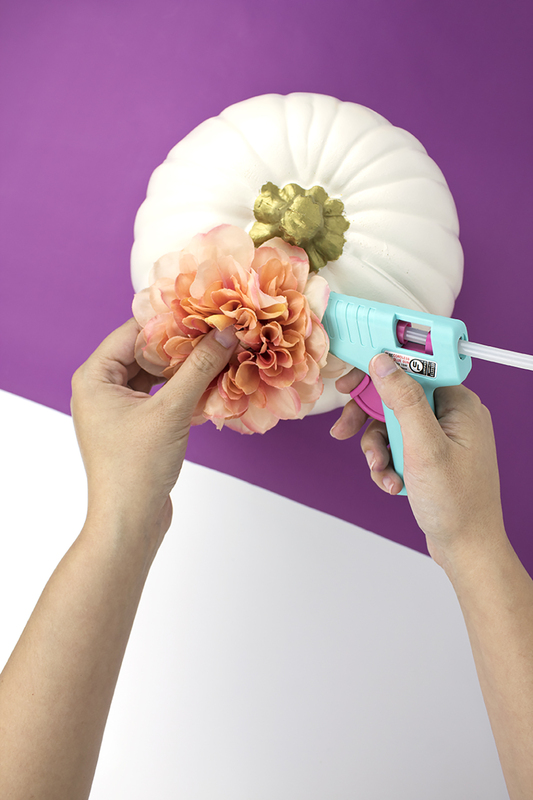 As soon as the glue dries, you’re ready to display this pumpkin wherever your heart desires. 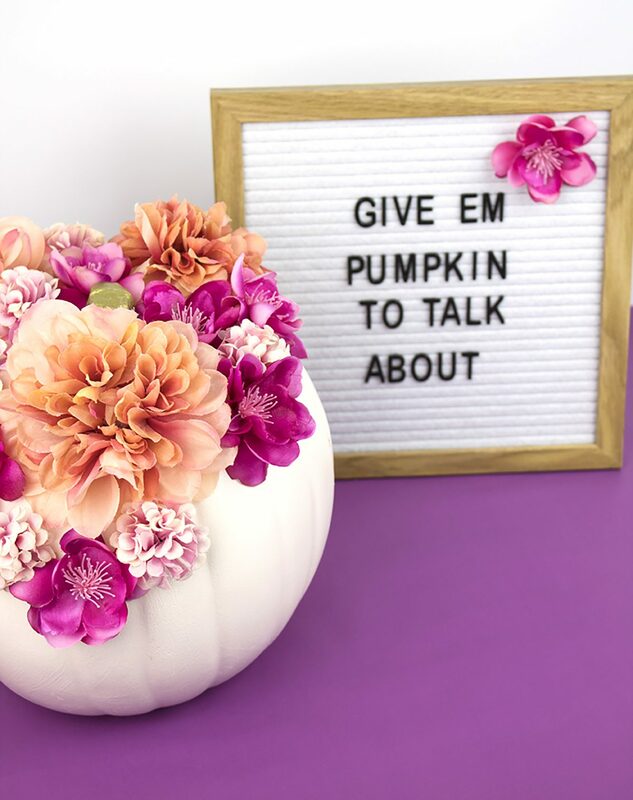 I recommend putting it near your entryway table, so everyone can see it! You can also make a mini version to put them around the house, like on your nightstands. They’re pretty and affordable. 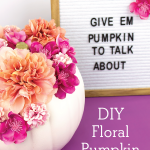 It would be great to make for a crafts and cocktails night with friends!